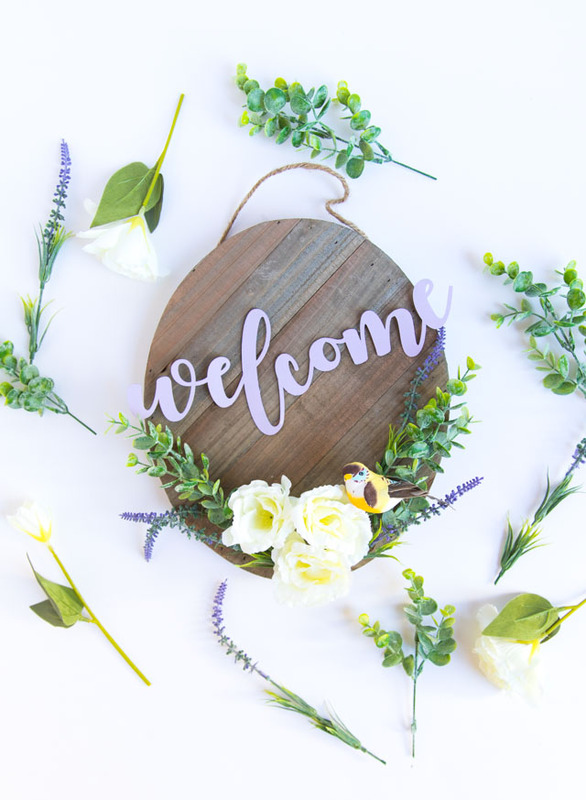 Valentine’s Day is a little less than a month away, so I thought I would sneak in a little Valentine wreath tutorial among my New Years Revamp projects! Technically, you can consider this wreath a little New Years revamp of its own. 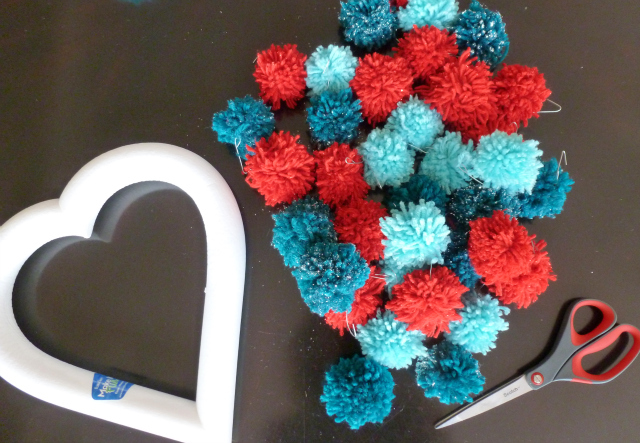 If these pom-poms look familiar to you, it’s because they were previously ornaments on my Christmas tree! 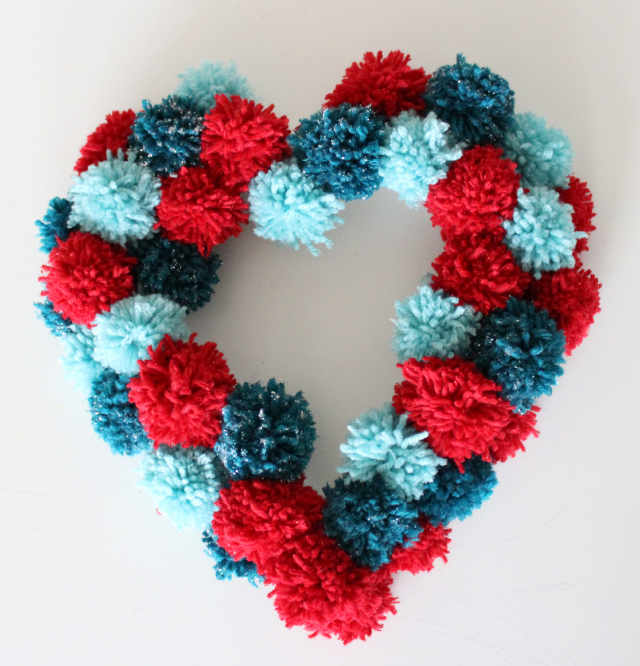 If you are lucky enough to have a bunch of pom-poms on hand you can make this wreath in 15 minutes! 1. 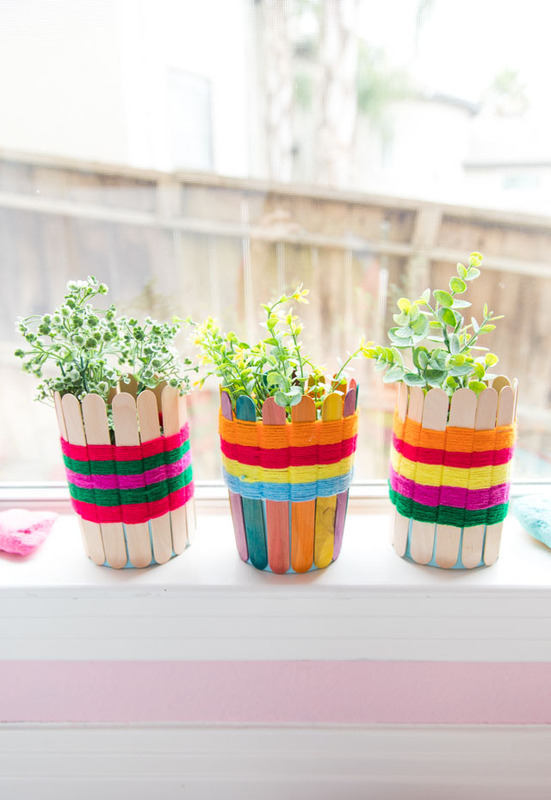 Make your pom-poms. 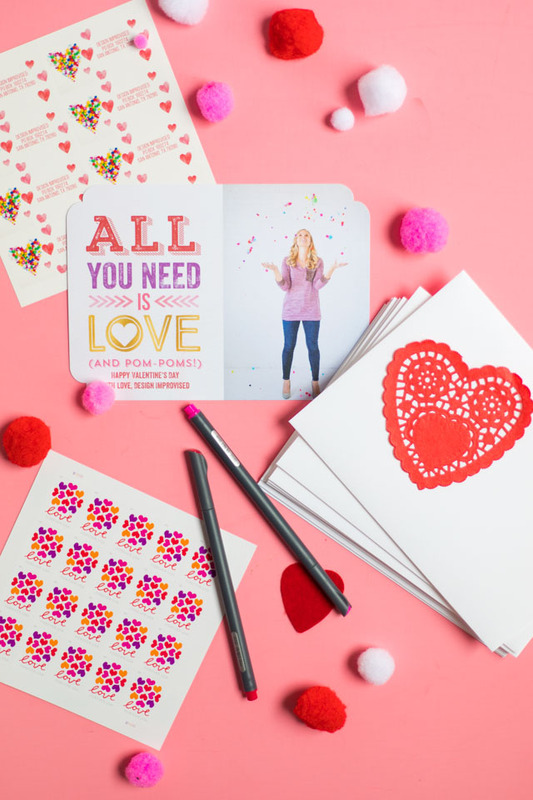 Pick a fun color combo – Valentine’s Day doesn’t have to be just red and pink! 2. 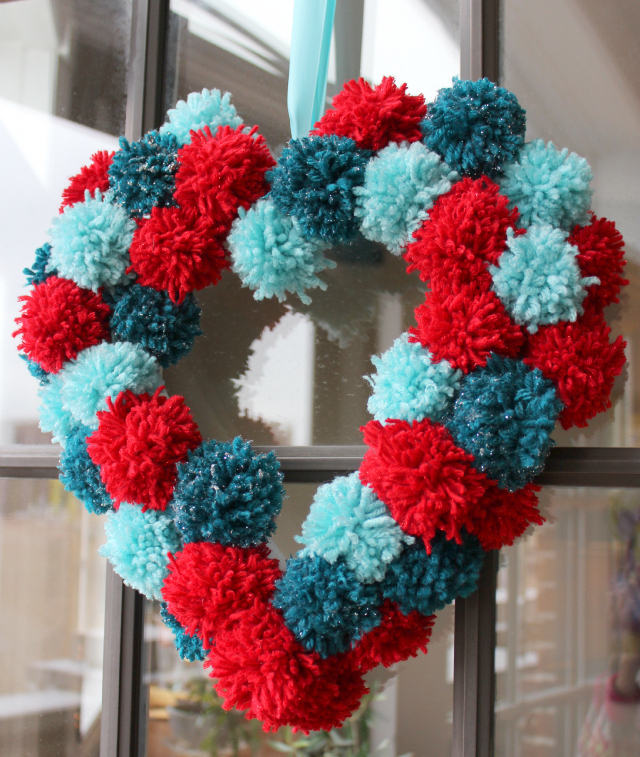 Start gluing the pom-poms onto the wreath form with a generous dab of hot glue. 3. Continue around the wreath, somewhat randomly spacing the different colors. You don’t want it to look too uniform, so position a couple of the same color next to each other in certain spots, and alternate colors in others. 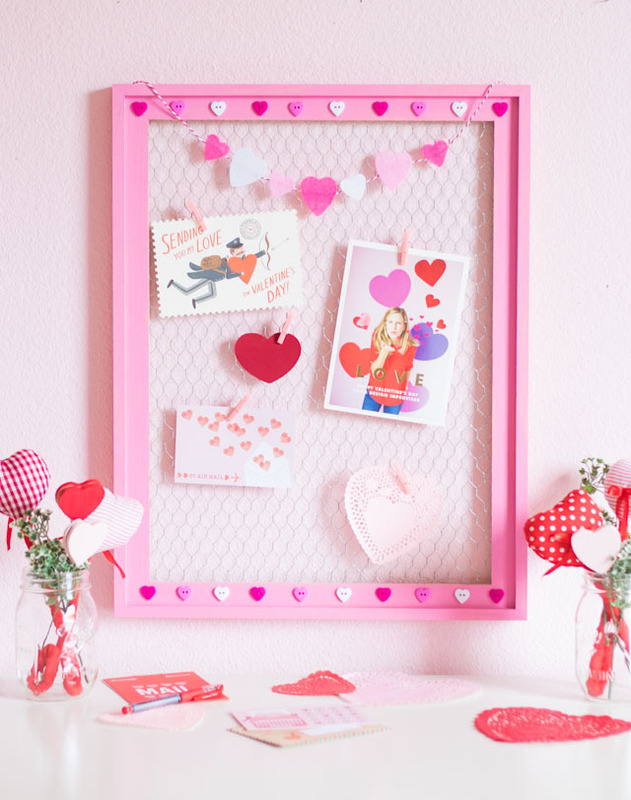 Keep going until you fill in all the visible holes (or in my case, run out of pom-poms!). I magically had just enough to cover the wreath, but there was definitely an “oh crap” moment midway through when I thought I was only going to have enough for 2/3 of the wreath…. 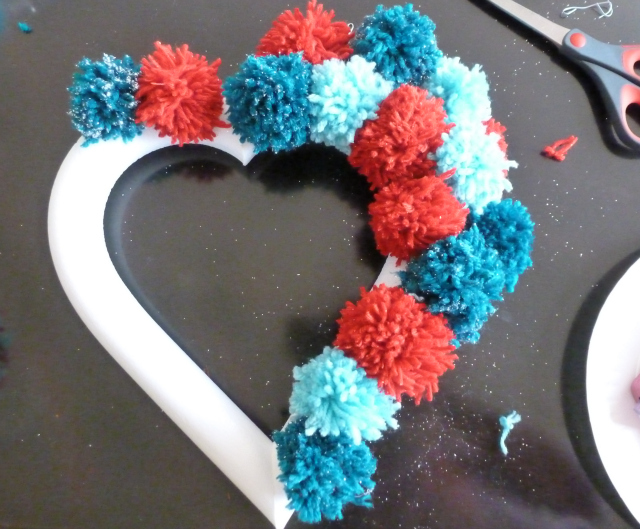 and after making all of these, I wasn’t about to make more pom-poms! Love this wreath! What size did you use and where you find it. All I'm finding are 12" and smaller. 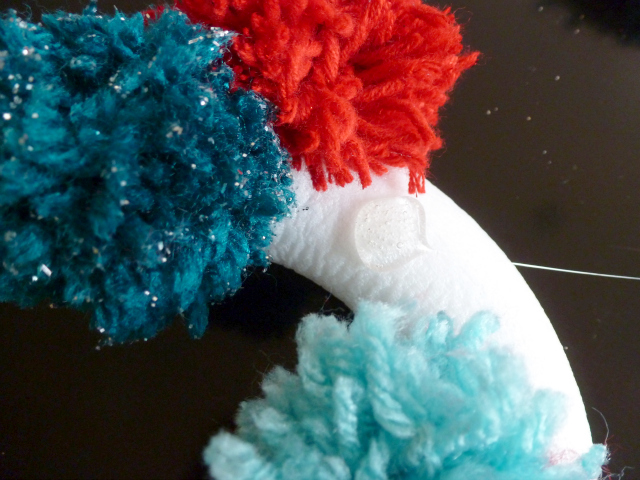 I have my poms all made……they're just waiting for a home!